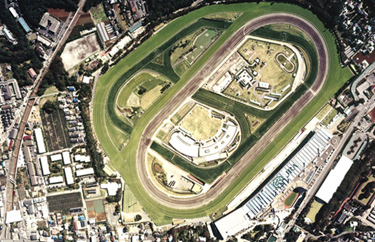 Nakayama Racecourse, established in 1920, joins Tokyo Racecourse as the feature racecourses in the capital area. Its racing calendar is comparable with that of Tokyo, and the two racecourses hold race meeting alternately. The major races are the Arima Kinen (The Grand Prix) (G1), the Satsuki Sho (Japanese 2000 Guineas) (G1), the Sprinters Stakes (G1), the Nakayama Grand Jump (J-G1) and the Nakayama Daishogai (J-G1). Approx. 15 minutes by bus and 30 minutes on foot from JR Nishi-Funabashi Station. Approx. 10 minutes on foot from JR Funabashi-Hoten Station using the special underpass (Nakki Mall moving walkway installed). Approx. 10 minutes by bus and 20 minutes on foot from Keisei Higashi-Nakayama Station.